For the modern brand, sustainable competitive advantage can not be built upon logo design, taglines, packaging or marketing campaigns. The purpose of building a strong brand image is to differentiate from rivals, to stand out from the competition, and influence a consumer’s purchase decision. Yet not all brands have the capability to become what they desire on their own. It is in these instances that a merger or acquisition can help take a brand to new heights. Rather than developing new capabilities internally, the right partnership can give a tangible boost to a brand’s products or services or even an imaginary advantage that makes them more desirable. In today’s ultra-competitive global marketplace, the slightest edge in perception can sometimes make all the difference. While the majority of mergers are predicated on cost efficiency and economies of scale, the most meaningful mergers and acquisitions for brand-building are those that truly add to a company’s competitive advantage, not just their bottom line. Gaining authenticity or changing personality: For a brand struggling for relevance in a competitive a environment, the right acquisition can provide the authenticity they need to become credible players in a new space. This is precisely what Lenovo intended in 2005 when it acquired the PC division of IBM, instantly becoming the world’s No.3 computer maker. More recently, Yahoo has also been pursuing a transformation. Fighting an outdated image in a social and mobile world, Yahoo’s is a desktop Web company reliant on an aging demographic. Part of the transformation relies on “making ourselves cool,” said CFO Ken Goldman. To this end, Yahoo acquired social media site Tumblr in May 2013, gaining the attention of Tumblr’s 300 million monthly unique visitors, most of them the 18-25 year-old Millennials it craves, and establishing a strong foothold in the social media space. 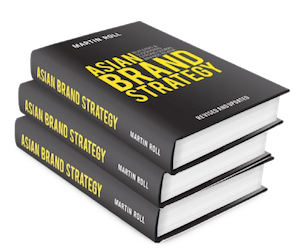 A gateway to foreign markets: Breaking in to a new region – especially Asia’s emerging markets that are not well understood by many western brands – is commonly done by acquiring a local brand for their unique expertise and distribution network. Diageo, for example, recently acquired the maker of a traditional Chinese spirit called baijiu as part of its strategy to achieve 50% of sales revenues form developing economies within several years. Starbucks, taking a less direct route toward higher revenues from Asia, acquired Teavana, a worldwide chain of loose-leaf tea stores in 2012. Complementing their existing Tazo teabag brand, CEO Howard Schultz intends to make Starbuck’s tea a force in Asia where the beverage is much more popular than coffee. Not all foreign acquisitions are aimed at expansion to new regions, however. In 2010, Geely, a Chinese carmaker, bought Swedish car brand Volvo. While it provided a foothold in markets outside China, the acquisition was just as much about competitiveness in local markets where European brands are perceived as being of better quality and more prestigious. Acquiring talented people: One of a brand’s most valuable assets are the people whose ideas and efforts drive the company each day. But it can be difficult to dramatically transform a workforce or inject new ways of thinking on a large scale with traditional human resource management. This challenge has given rise to the “acqui-hire” – a phenomenon when one company buys another, not for its products, but for its people. As part of Yahoo’s transformation mentioned earlier, the technology giant has “acqui-hired” ten companies, integrating their teams into larger projects since Marissa Mayer took over as CEO last summer. A brand’s people are its heart, and their shared culture is the sprit that can drive an organization to achieve great things. One of the key benefits of an acqui-hire is how it maintains harmony among employees while still having a material impact on the workforce. Firstly, it circumvents head-hunting and the negotiation that often requires a salary premium above existing employees which may harbour resentment. But more importantly, it brings together entire teams who share a common purpose and understand each other. Acquiring ideas: Acquiring a company strictly for its intellectual property can help a band overcome its weaknesses toward becoming a leader in its category. Because it is concerned only with a company’s ideas, – not its tangible assets such as buildings, factories or employees – it is considered a much cleaner acquisition process as well. In 2011 alone, Google acquired 54 companies for their patents and intellectual property, becoming the most dominant web company in the world. Buying or licensing intellectual property can also help highly innovative firms protect themselves from infringement lawsuits that may damage their brand. It can be a shrewd defensive manoeuvrer to simply buy a competitor than get locked in a legal battle over it the technology down the road – precisely the strategy Google employed when it bought Motorola in 2012, partly to fend off legal attacks on its Android platform. A brand is the source of a promise to customers. Any brand can promise relevant, differentiated benefits, but they are much harder to deliver in real life. When a brand seeks to transform of itself, a merger or acquisition can sometimes be the most efficient way of doing so. Whether the consumer’s associations with a brand are due to its perceived authenticity or personality, the people who work for it, or the features of the products or services themselves, a strategic investment in branding can sometimes take the form of a merger or acquisition.